In must-win situations, the King's Indian Defense has been trusted by World Champions, such as Garry Kasparov, Bobby Fischer, and Mikhail Tal. It's a hypermodern defense, where Black builds a strong defense around the king and looks for counter-attacking chances in the middle game. In this 16-video series, International Master John Watson, gives you a complete picture of how to play this opening. John analyzes the most popular variations including the advance variation with 7.d5, and other main lines. In doing so, John explains the key plans, not just for Black but for White too! As in all his video series, John has an uncanny ability to break down complex ideas and make them simple, allowing you to grasp the essential ideas, the key strategies, pawn structure and critical squares to fight for in this hyper-modern defense. And it's all done without overwhelming you with hundreds of variations and sidelines; this is one video series you can't miss!! So don't hesitate, we're confident you'll enjoy this video series immensely and will be scoring impressive wins with this new weapon in no time! The Indian defenses (1.d4 Nf6) were latecomers in chess, in the historical sense, but nowadays are the most commonly played defenses for Black. they were played sporadically until the '20s of the last century, to then become more popular in the '30s and to definitely take off after WWII. In this series. 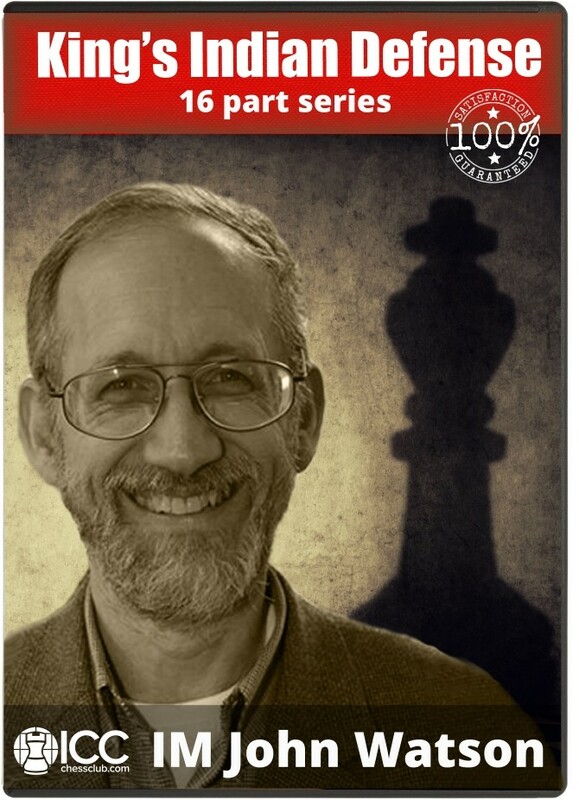 IM John Watson examines the pawn structures, the plans and the strategies of these systems, which are to be considered as the essence of modern chess in many ways.